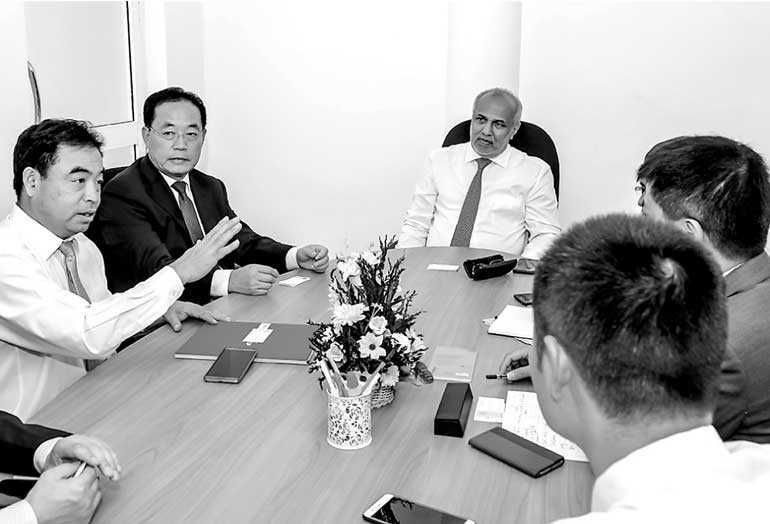 Minister of City Planning and Water Supply Rauff Hakeem this week met Chinese Academy of Sciences (CAS) Prof. Wei and senior officials of the construction company, China Railway Number-4 Engineering Group (CTCEG) which has undertaken the construction of the largest Water Technology Laboratory in South East Asia, in the premises of the University of Peradeniya under the China-Sri Lanka Research Grant. They discussed matters pertaining to the ground-breaking ceremony of the project to be held on 28 September. Ministry of City Planning and Water Supply Additional Secretary A.C.M. Nafeel also participated at the discussion.